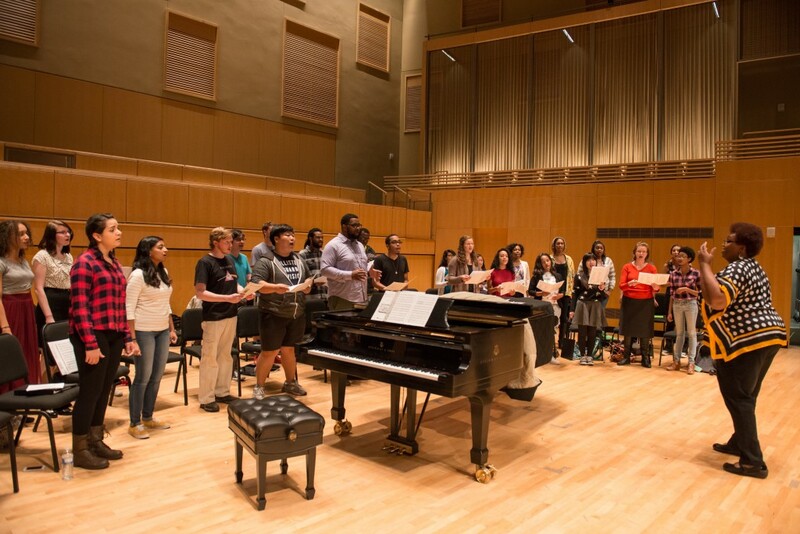 Students in the Choral Music Education major receive a solid grounding in educational and pedagogical skills, and music theory and history, preparing them for vocation in teaching and/or further graduate studies in the area of music education. Through field observations and hands-on teaching experiences, the students will receive clear guidance to develop their own teaching skills and philosophies. Students are encouraged to take the teacher certification exam during their course of studies at UMBC, though are not required to do so. The degree uniquely combines courses from both the music and the education departments to provide a comprehensive overview of theories and practices in both fields. Faculty specializations include studio teaching, aesthetic education and extensive outreach activities. Special opportunities exist in the form of internships and fellowships. To view the academic requirements for this degree, please visit the academic catalog.